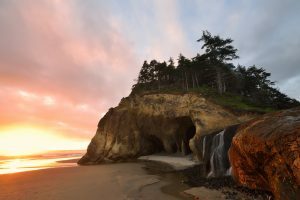 Discover what the locals refer to as the MOST spectacular time of the year…….here on the North Oregon Coast. We call it Coastal Gold…….To be awash in warm sunshine…..feet in sand, face to the sun and far from crowds. Come stay with us at the Arch Cape Inn and Retreat. Here you will find the tranquility of golden weather and warm hospitality that enfolds you in a luxury lodging experience……difficult to find anywhere else. nothing can compare to the brilliance of this unique summer experience. Explore the Reaches of Ecola State Park — What Makes the Oregon Coast Such a Special Place?